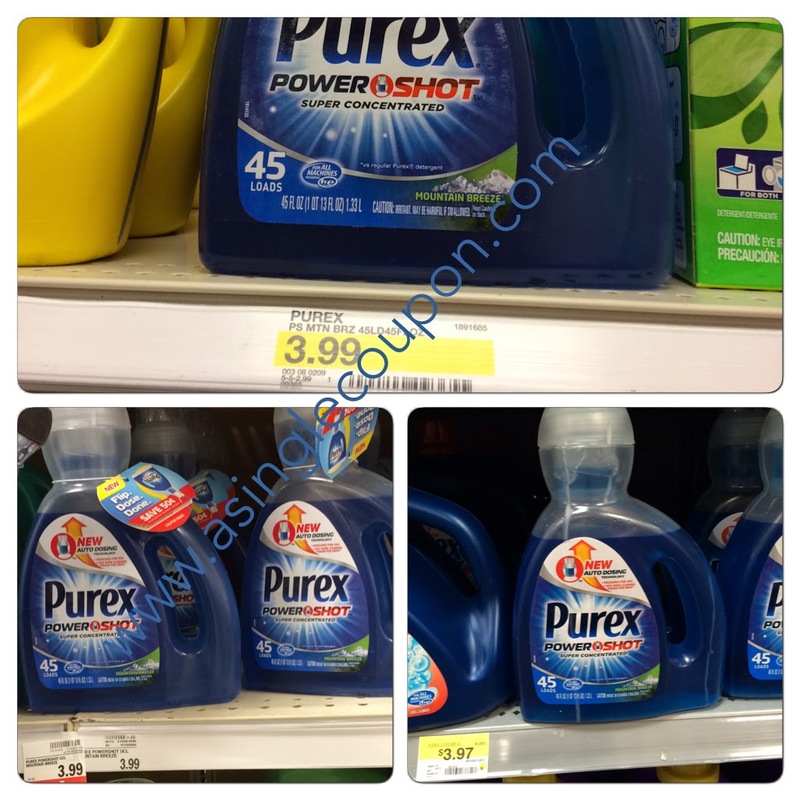 FREE Purex Powershot after Mail in Rebate! There is a "Try me Free" rebate on the new Purex Powershot! At Meijer and Target they are $3.99 and at Walmart is it $3.97! Terms and Conditions: Consumer is responsible for sales tax, only the purchase price will be refunded up to $3.99 for one Purex Powershot product. If coupon is used, amount of the coupon will be deducted from the purchase price and the actual price paid before taxes will be refunded. Requests must be postmarked by July 31, 2015. Void where taxed, restricted or prohibited. PO boxes will not be paid except in North Dakota. Allow six to eight weeks after mailing for delivery of your check. Limit one offer per envelope and one rebate per product/name/household/address. The Dial Corporation, A Henkel Company reserves the right to confirm identification. Fraudulent submissions could result in federal prosecution under US Mail fraud statutes (18 USC Sections 1341 and 1342).